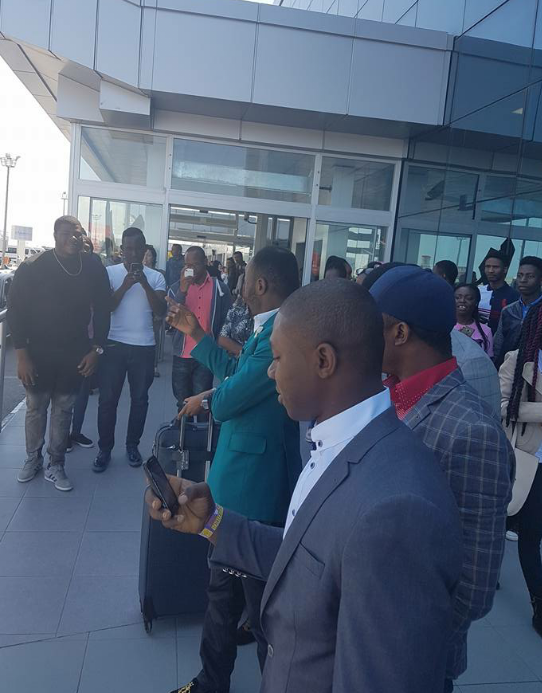 The general Overseer of Omega Fire Ministries, Apostle Johnson Suleman has arrived at Nicosia International Airport, in Cyprus for a 2-day crusade tagged "Help From Above". 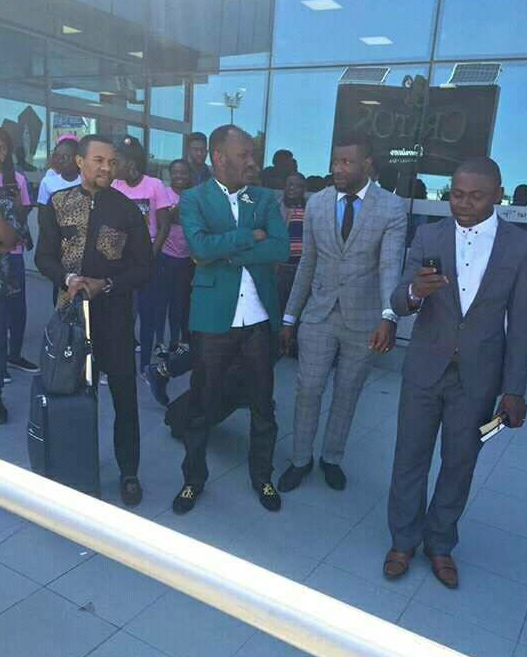 He arrived the airport with a team of Pastors to preach the gospel to lives. 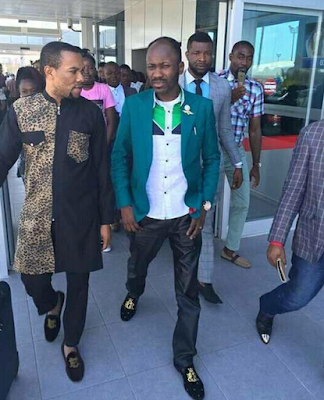 Apostle Suleman is being accused by a Canada-based lady, Stephanie Otobo of infidelity and abuse.